Cllr. Matthew Bennett, Labour Cabinet Member for Housing in Lambeth. “We’d all like to live for free in million pound homes in Clapham”, Cllr. 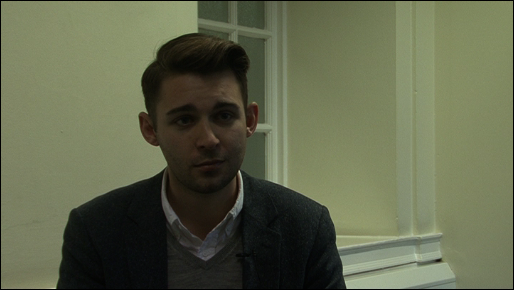 Matthew Bennett, Labour Cabinet Member for Housing in Lambeth, told Spectacle in a recent interview for our documentary about the eviction of residents from Rectory Gardens housing co-op. Yet, Spectacle’s film reveals that this statement, and numerous others Bennett made, is based on gross inaccuracies, calling into question the evidential basis for Lambeth’s decision to sell off the houses, a decision that Lambeth Labour MP Kate Hoey has told us “will go down in history as one of the worst the borough has made”. In the mid-1970s, Lambeth Council Compulsory Purchase Ordered the L-shaped street of 28 Victorian terraced houses in the heart of Clapham Old Town for as little as £2000 – £4000 each under ‘slum clearance’. Along with numerous other ‘shortlife’ homes CPOd in the borough, the properties were effectively abandoned due to lack of funds to do them up. The only work ever to be carried out by the council since was to deliberately damage many of the interiors in order to prevent occupation. But a few years on, as was common at the time, squatters found a way to move into what had become derelict houses. Realising that this was a way to help them maintain the properties, the council then decided to welcome them as ‘short-life tenants’. Similar events took place across the city. “The Council were even handing out keys. They didn’t seem to care at all that we were there; in fact they seemed happy about it”, said one resident. Forty years later, and Lambeth are one of the last London boroughs to deal with their shortlife portfolio, having dithered about for decades, during which time a whole community and way of life has flourished. But in 2011, in the context an over-inflated London property market and government cuts, the Council decided to sell off what have become people’s long-standing homes at auction to raise cash. Evictions are currently in process. Yet, if Lambeth are hoping to make one million pounds each on these houses, they must be dreaming. So far they have made £56 million on the sale of around 120 ‘shortlife’ houses. That’s around £466,000 for each one. There are now only around 50 shortlife properties remaining in the borough, and the Council aims to sell off the last remaining homes by the end of 2015. Rectory Gardens represents most of this tail-end stock. But rather than one million, the average sale price for a co-op property at auction is half that. Both houses already sold on Rectory Gardens went for under £500,000. It is unclear how much Lambeth anticipate making on the sale of the remaining houses; Spectacle have requested a figure. How is this money to be spent? In our interview, Bennett said decisively that the money would be used to “build 1000 new council homes”, yet, a few moments later, he made more general statements about money going into a “pot” to pay for “road refurbishments, new primary school places” and seemingly other unspecified public services. His predecessor, Pete Robbins, said that the money raised from sales of co-op homes would plug a gap in the funding the council received for housing repairs. The money raised seems to be covering a lot of bases that it cannot possibly stretch to. Freedom of Information requests submitted by Lambeth United Housing Co-op (LUHC), (a campaigning group set up to protest similar borough-wide evictions), to find out exactly how the money will be spent have been unanswered. Spectacle has requested information regarding exactly where the new houses will be built, by when, and how much the total build is expected to cost. Not only are these funds not being ring-fenced for housing, but the current £56 million windfall does not take into account the £1.8m spent so far on staffing and legal costs of eviction, nor the unknown additional sums spent on surveyors, auctioneers, vacant property managers, for which information Lambeth Council recently blocked another freedom of information request by LUHC. Neither does it factor in the added costs of re-housing people, which LUHC have estimated to be between £6 – £13m, nor the unknown long-term social welfare bill of caring for now isolated elderly and disabled residents, who had found support and care within the co-op community on the street, something the council seems keen to support in theory through its health and wellbeing policies and ‘Connected Communities’ project, but clearly not in practice when the community is already in situ. Furthermore, the Council seems to refuse to acknowledge that it is thanks to the hard work, resources and energy of residents alone that houses that they once abandoned are now lucrative cash cows. Rather than living “for free”, in 1982, the majority of residents who came to settle in the houses formed a self-supporting co-op. Members paid into a pot, from which money was used to purchase materials or support substantial renovation works. These were carried out through a process of skill and labour sharing. Indeed, Labour Councillors Nigel Haselden, Christopher Wellbelove and Helen O’Malley in 2007 campaigning leaflets said: “Some of these homes would not be standing if it was not for the work of the people living in them.” Two of these Councillors, Wellbelove and Haselden, once elected did a complete U-turn on their promise to ‘fight for the rights of residents to stay in their homes’, now supporting the current eviction policy (O’Malley was deselected). Cllr. Bennett claimed no knowledge of this. Correcting Bennett further on the matter of paying rent, he asked Spectacle to whom and how much were people paying. He then said “I heard it was no more than £1 a week. That’s almost nothing”, adding, as a different tack, “they’ve paid nothing to the Council”. First, the council never actually allowed any rent to be paid (more of which later), second, the actual membership fee was set at £5 a week (though rates varied across all co-ops), to reflect the low-income of those in the homes, all of whom were already on the council housing waiting list. This small fee was also designed to encourage residents to work on their own properties, which, contrary to Bennett’s claim that “people have not shown any willingness to spend the money necessary to bring [the houses] up to a decent condition”, they did, adding their own energy and labour. This included re-roofing, plastering, re-wiring, building new chimneys, installing windows and doors where there were none, putting new boilers into every house, building staircases, installing gas, and much more. Yet Bennett claims that “at least five properties are completely derelict” and that others have “fallen into disrepair” and “not been maintained”. He is clearly unaware, as he himself admitted during the interview, of the condition of the properties when they were initially purchased in the 1970s. Spectacle has sent him the below photographs to demonstrate the actual situation. “Million pound” homes? The derelict condition of CPOd houses on Rectory Gardens in the 1970s before the co-op took over renovations. In addition, Spectacle pointed out that since the residents have been paying council tax for years, according to the Valuation Office for England and Wales this legally qualifies them as ‘dwellings’ suitable for habitation, hence they could not possibly be “derelict”. A spate of recent articles concerning one property on the street said to have a tree growing through an illegal extension with dangerous electric wiring, rented out to sub-letters, is not a house that is part of the co-operative, yet it is being used to tarnish the community. Filming in a number of co-op homes, Spectacle found them to be comfortable, homely and safe. Having referred to a couple of other incidents with some houses in the street during his interview, Spectacle made the point to Bennett that crime is a social problem, not the fault of one set of people, neither should the actions of one mar the whole community, be that Rectory Gardens or ‘shortlife’ co-ops in Lambeth generally. He was unable to comment further. Moreover, the idea that we should measure people’s contribution to society based on ‘how much they pay’ in monetary terms – (to the Council, in this case) – implied by Bennett’s statement, demonstrates an indefensible attitude of income-based prejudice. Looked at in entirely different way, the residents of Rectory Gardens have collectively done as much, if not more, to contribute to their community as many other rent-paying citizens do to theirs, and have a stable community that is not reflected by some of the highly transient ‘neighbourhoods’ that surround the street where occupants regularly move on and private rentals stay empty for long periods. The self-proclaimed ‘cooperative council’ should be falling over itself to recognise and reward those who voluntarily invest into making their ‘patch’ a positive place. Residents of Rectory Gardens have been behind numerous artistic and community-based initiatives in the area over the years, such as Cafe on the Common, the Tea Rooms, Studio Voltaire, and even the skate park on Clapham Common, activities which no doubt contributed hugely to making the area a now-desirable postcode, propping up the very market prices that Lambeth seek to capitalise on today. Adding further insult to injury, despite the accusation of ‘living for free’, paying rent to the council was never given as an option. At no point since the establishment of the housing co-op have Lambeth Council sought any financial arrangements with residents. Bennett’s version of history is that “Other co-operatives took the opportunity to charge social rents and take a regularised position… Rectory Gardens did not go down the route [of] becoming a proper cooperative… We’ve spoken with the housing co-op on many, many occasions about ways in which they might want to finance taking their over as a co-op on their own, they haven’t been able to work with the money.” In fact, Rectory Gardens was not allowed to go down this route of ‘rationalisation’ and the council has never seemed to want to make them tenants – something that Tulse Hill Labour Councillor Mary Atkins said should have happened years ago. The Council has had opportunities of resolving the situation numerous times over the years, but has stopped deals going through, deciding not to come to a resolution and consistently using the threat of legal action as a first port of call. For example, the community embarked on years of without-prejudice negotiations with housing association Metropolitan Housing Trust and the Council, involving a lot of time, effort and money for the deal to evaporate because the council revalued the site. On three occasions between 2012 and 2013, Lambeth United Housing Co-operative proposed to the council that residents begin to pay rent and become social housing tenants as a solution. They also came up with the idea of the ‘Super Co-op’, a proposal backed by housing experts that would see ex-council stock being recycled and refurbished by a borough-wide umbrella co-op while simultaneously skilling up local people. These solutions were rejected without being fully discussed. The Council even refused payment of their own legal charge, developed in-house; a so-called ‘use and occupation’ back fee seemingly designed to coerce people from the properties. A judge suggested a defendant pay in installments but Lambeth promptly declined this, presumably worrying that accepting payment could mean a case for tenancy rights in court. As part of the eviction process, residents have been offered priority re-housing via the council’s Choice-Based Lettings system. Yet some of those that have accepted and found re-housing have reported damp, mould and asbestos, among other problems, not to mention the psychological difficulty of being forcibly displaced away from their community. Residents wish to remain in their homes, where they have raised families and built a robust community, and would be happy to pay council rents rather than needlessly displacing others on an already overburdened council housing waiting list. Yet Bennett argues that selling off this rare social housing stock will help the “21,000 people on our housing waiting list, the 1800 families in temporary accommodation and the 1300 living in severely overcrowded homes” because it is “not affordable” to spend money refurbishing them, money that could go towards new homes, or road refurbs, or primary school places… New council homes are of course welcomed, but should this be at the expense of existing council stock? To top this off, at no point have residents asked the Council to spend money on the homes; rather they have proposed that they would take this on themselves via the Super Co-op. Bennett adds “It costs five times as much (£60 – £70,000) to refurbish a house on Rectory Gardens as it does to refurbish an existing council home.” Uncertain where these figures have come from, Spectacle have asked for the data used to make this claim. We have also written to Bennett to suggest that there are other options. The Super Co-op was one, but housing expert, and Director of Self-Help Housing, Jon Fitzmaurice has also told us he “continually comes up against large organisations who say it is uneconomic to do up houses but it is erroneous to take that view, as communities and small charities can make things happen for much less.” In Liverpool, a recent case he came across, saw a commercial builder estimate that a property would cost £30,000 to refurbish. It was finally done by a community group for £6,000, with the labour provided by co-op members and the only costs those of materials, a surveyor and building supervisor. Surely, as a ‘co-operative council’, Lambeth is aware that the co-operative way is often one of the most affordable and socially productive around. A bit more imagination, a bit less short-termism, might work wonders. Pursuing the eviction policy, one of the worst outcomes would be, as housing expert Jon Fitzmaurice told us, that properties are ‘flipped’ and the council end up renting the properties back off a private landlord for social housing, which would be expensive, wasteful and self-destructive, as the eviction policy is already proving to be. Over in Southwark, campaigners have found that similar council promises to build ‘new’ ‘council’ homes, on closer inspection, have resulted in the selling off of public assets to purchase private land and build houses that are only partially available for social rents, the remainder being offered for private sale or shared ownership. Without a firm and open statement from the Council on exactly where the money is going, it is difficult to hold such promises to account. Meanwhile, residents of Rectory Gardens are on the move, or in court, with some spending maybe one last Christmas in their self-created homes. To read more of our blogs about Rectory Gardens, click here. Vivienne Westwood is known for her outspoken attitude, both in her fashion and activism. 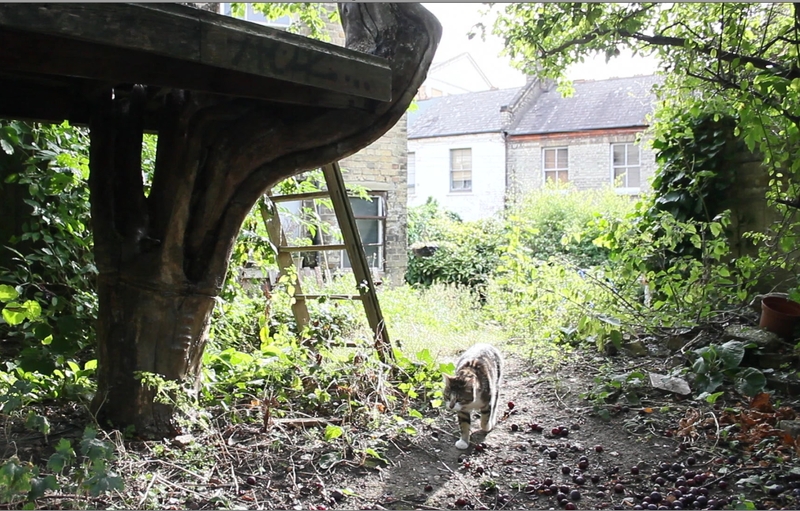 Sticking to trend, today she spoke out about the destruction of long-standing housing co-ops in her home borough of Lambeth, lending her support to the documentary Spectacle are making about the fate of Rectory Gardens and its residents who currently face eviction by the council. This sort of short-termist policy is “incredibly stupid, shocking and horrible. It’s terrible to put people through that distress” and will simply add to the “growing list of people waiting for housing”, said Vivienne. In 2011, Lambeth recalled the properties it previously handed over to the self-forming housing co-op back in the 1970s as a response to cuts, spurred on by the now-booming London market. Vivienne spoke with warmth and enthusiasm about Rectory Gardens: “There is no traffic, so children can actually play together and knock on each others’ doors. People are all working together, it’s absolutely great.” The enforced break-up of such a community is “disgusting”, she added. With a deep love of London’s theatres and cultural centres, such as the National Gallery, Barbican, and particularly the Battersea Arts Centre, Vivienne argued that these sorts of enterprises tend to emerge from the ground up, through artistic communities that are allowed to grow organically, like Rectory Gardens itself. “These sorts of communities are so important to what makes London such a buzzing, active, cultural place”. But in a world dominated by concern for “profit” alone, in which “people are just treated as commodities”, she fears that all such creativity is “being obliterated and swamped”. Referring to the soaring prices of London property, Vivienne spoke of the case of Maritza Tschepp who is being threatened by eviction from her ‘short-life’ house in Stockwell to the potential tune of around £700,000 for the Council at auction. Not a penny of that would go the former resident, despite the fact that it is her invested energy and money alone that has maintained and increased the property’s market value over the 33 years she has lived in it. At those prices, suggested Vivienne, who earlier this year attended a demonstration outside another boarded-up co-op house on Lillieshall Rd to protest its sale, it’s likely only to be speculators or those after second homes that can afford to move in. “The government is doing only what’s good for business and profit – they’re not thinking about people. This is bad economics and is storing up trouble for the future”, argued Vivienne fervently. A long-standing Lambeth resident, she understood that the council was facing enormous pressure from its budget being slashed in half by government austerity measures. But argued that they should be resisting and raising the alarm about the scale of cuts, rather than backing the Government in “trying to work a system that is a short-term disaster for people and a longer-term, unimaginable disaster for the planet”. She urged that people should “stick together” to protest against the “false economy” of austerity. Reflecting her broad activist perspective, Vivienne was keen to stress that the story of Rectory Gardens should be seen as part of a bigger systemic problem of greedy capitalist profiteering resulting in the destruction of communities and the environment, “happening everywhere”. “We need a green economy based on collaboration, respect for people, fair distribution of money, community. A green economy is a people’s economy – it is urgent and necessary. If you protest against the acquisition of these co-op houses, you are protesting against everything that is ruining the planet.” In her own true-to-form, outspoken words, that is: “a world in which politicians’ only care is to syphon off all profit for the super rich”. 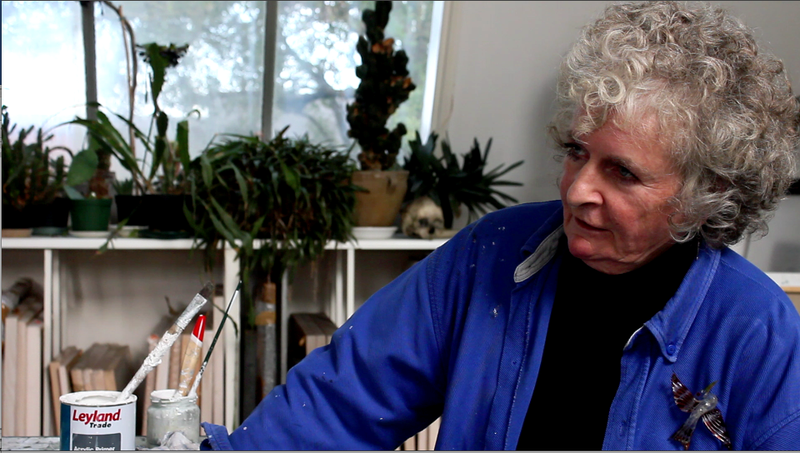 Painter, sculptor and Clapham resident, Maggi Hambling, told Spectacle that ‘Lambeth Council, rather like Jack the Ripper, seems to be ripping its way through the whole feel and importance of this area’ through its short-termist policy of selling off cooperative housing, such as that of Rectory Gardens, just round the corner from Maggi’s sunlit studio. ‘What I think is most extraordinary is that Lambeth calls itself the ‘Cooperative Council‘ when it has destroyed and is still destroying every cooperative around me. It’s terrible, to put it mildly’, she says. In an interview for Spectacle’s documentary about the breaking up of Rectory Gardens Housing Co-op, Maggi describes Lambeth’s ‘money-grabbing, short-sighted, and morally criminal’ behaviour towards Co-ops in the borough. In nearby Lillieshall Road, only two of 15 houses remain, while residents of Rectory Gardens are currently in the process of being evicted. Maggi moved to the area in the 1960s and remembers the wide variety of people who once made this their home, including artists and craftspeople. The systematic eradication of co-ops, she fears, is the product of a policy of greed that will ultimately destroy what makes this place special to live in. Tweet, Facebook, and disseminate this and related blogs and news articles to your contacts. Network Rail’s redevelopment plans for Peckham Rye Station are more about profit and less about what they actually should be: renovation. 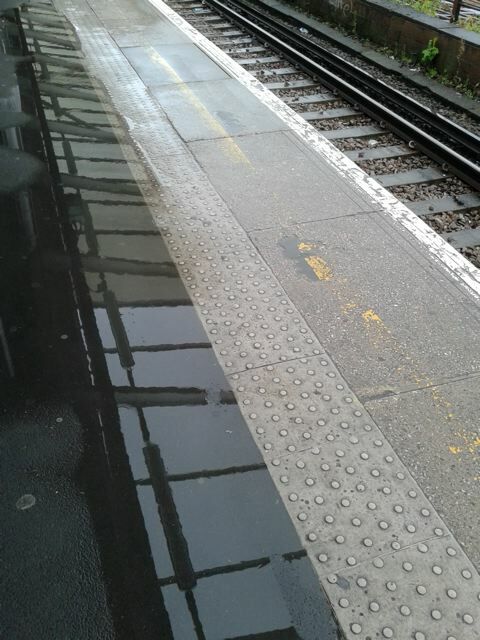 The pictures linked below, of the bad condition of Peckham Rye, are a clear example of how Network Rail do not take care of buildings and facilities they own and their customers that use them. 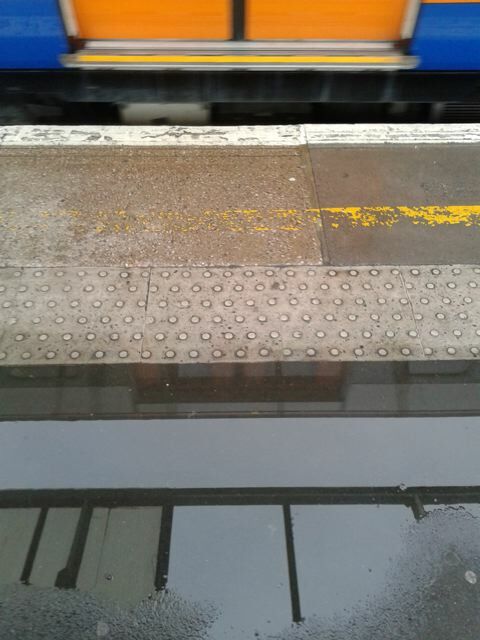 These puddles, and sometimes floodings are the direct result of the lack of maintenance, bad drainage and no roof to protect commuters from the rain. Network Rail has decided, in the name of profit, to bring big chains to the area and by doing so, kick out local businesses and communities, rather than simply tidy and refurbish their property, as the Peckham locals have requested. 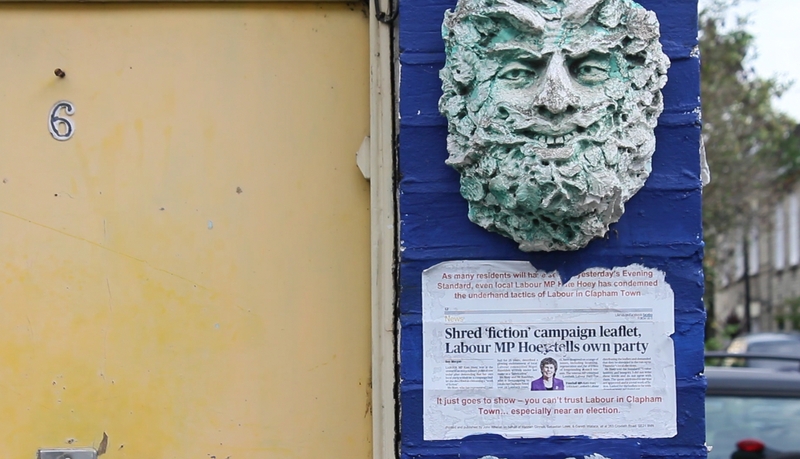 Spectacle has met several times with members of a housing co-operative based in Rectory Gardens, Clapham, to discuss making a film about the street and its community ahead of residents planned, impending eviction by Lambeth Council. We ran an extremely successful four day training course around the project. This served the dual purpose of giving participants the opportunity to experience working on a real commission and kick-starting filming. We received excellent feedback from course attendees and an enthusiastic response from many Rectory Gardens residents. As a result, we have more training courses scheduled in for the Autumn and we hope to start production on the Rectory Gardens film for real in the near future. Eventually we aim to produce a short film that may help the campaign of residents who choose not to settle, and serve as a record of life on the street for those who have decided to reluctantly accept the Council’s offer of rehousing. The Rectory Garden Housing Co-operative came into being in the 1970s, when houses on the street – an L-shaped mews attached to Rectory Grove – were compulsorily purchased by the Council and then left empty. People who moved into the empty buildings were allowed to stay on ‘short life’ tenancies – for almost 40 years in some cases. The residents made the houses habitable, tended the gardens and in many cases brought up families there. They also formed a housing co-operative, with a ‘self-help’ agenda – members exchanged skills and supported each other; they taught themselves and each other to maintain the houses – in (at least) one case learning to plaster ‘on the job’. The result is a vibrant and eclectic street, with an old bombsite for a garden and a small pack of cats to keep out the mice. In contrast to a sterile and ugly gated-community redevelopment in the mews next door the street is idyllic, a hub of community that contrasts the bleakness of many residential parts of London. However some residents say they have been unable to fully enjoy their homes, instead living with constant anxiety as Lambeth Council – which ironically self-describes as a ‘co-operative council’ – has sporadically put pressure on them to leave. This came to a head in 2011, when the Labour party began systematically targeting all ‘short life’ properties in the borough. Under immense pressure and facing dubious, underhand tactics – including the employment of property guardian company Camelot to help prise tenants out and stop new ones moving in – many residents have now settled and been rehoused, or are awaiting to be rehoused within the borough. Lambeth Council have offered Rectory Gardens residents priority in selectively applying for available council houses. Many residents, however, persist in fighting to keep their homes, despite the risk of having to pay enormous legal fees if they lose. As construction work progresses on the Battersea Power Station site, the Battersea Power Station Development Company’s (BPSDC) ambitious plans for the project appear to be moving rapidly forwards too; last week it was revealed that the company have made an official bid for the proposed Crossrail 2 line to serve the location. An extension of the Northern Line, Charing Cross Branch, is already planned (and will be partially financed by Sime Darby, the Malaysian consortium behind the Battersea Power Station Development Company) from Kennington to the Power Station. The Evening Standard reports that TfL is citing this as a reason to distance itself from the proposal, insisting Battersea Power Station will already be adequately connected. 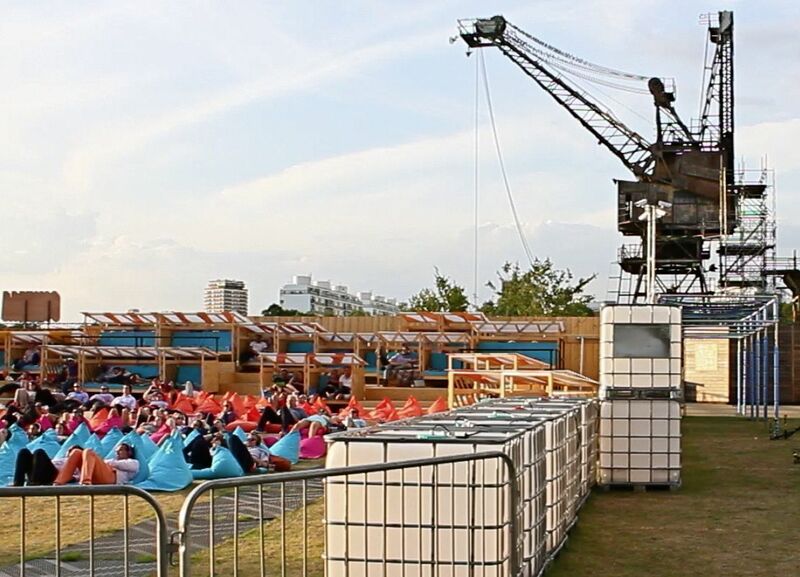 Meanwhile, on the ground Everyman continue to lease an area in front of the Power Station to screen films and sell expensive, ‘ethnic’ food in the evenings from Thursday to Sunday. Last week our interns, Charlotte and Marta, risked death by falling chimney chunk to check out the event and sneak some surreptitious footage. Surprisingly they survived, reporting only giant Jenga pieces flying around. Elsewhere, on the neighbouring Nine Elms site, all-consuming construction work has spilled out onto the Thames Path, limiting access to Tideway Village, a floating community of houseboats now overhung by the Riverlight development buildings. In June, Spectacle’s Mark Saunders was among 50 international scholars and experts who visited the proposed site of the Belgrade on the Water project, a development on the Sava riverbank in the downtown area of Serbia’s capital. The group were attending the International Network for Urban Research and Action (INURA) 2014 conference in the city. 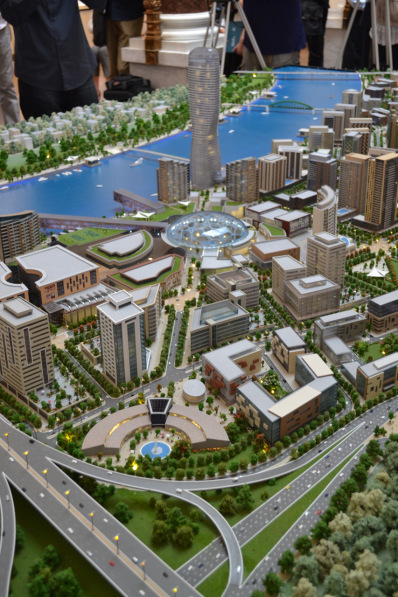 Belgrade on the Water is a vast real estate project intended to create a new business hub in Belgrade. It has been designed and will be built by Eagle Hills, a construction company based in the UAE which shares its chairman, Mohamed Alabbar, with Emaar Properties – the company behind Dubai’s Burj Khalifa, the tallest building in the world. Eagle Hills suggest that the development, which will cover 1.85 million square metres, could be completed within five to seven years. It is expected to cost just under three billion euros. The letter goes on to express doubt that the project will be completed at all. “The proposal envisages 200 new buildings, but the economic context is such that only what is referred to as ‘the first A phase’ of the project has some probability to be constructed: two apartment buildings, two hotels, a high-rise tower and the ‘largest shopping mall in the Balkans’.” INURA believe that the there is a significant risk of these buildings standing “unsold and isolated on a cleared site, cordoned off from the public until land values and purchaser interests increase”. INURA are sceptical that the development will be particularly beneficial to local workers, pointing out that the buildings proposed for the waterfront are such that most jobs generated will be short term, low paid construction and service jobs. They argue that instead the content of the development could be far more diverse in order to respond to the real needs of the city and citizens. “Rather than providing a standard blueprint with an unclear business plan (the obligations of the state being much greater at this point than the obligations of the investor), this project should be built step by step, closely monitored by the highest standards of local planning regulations and transparency. 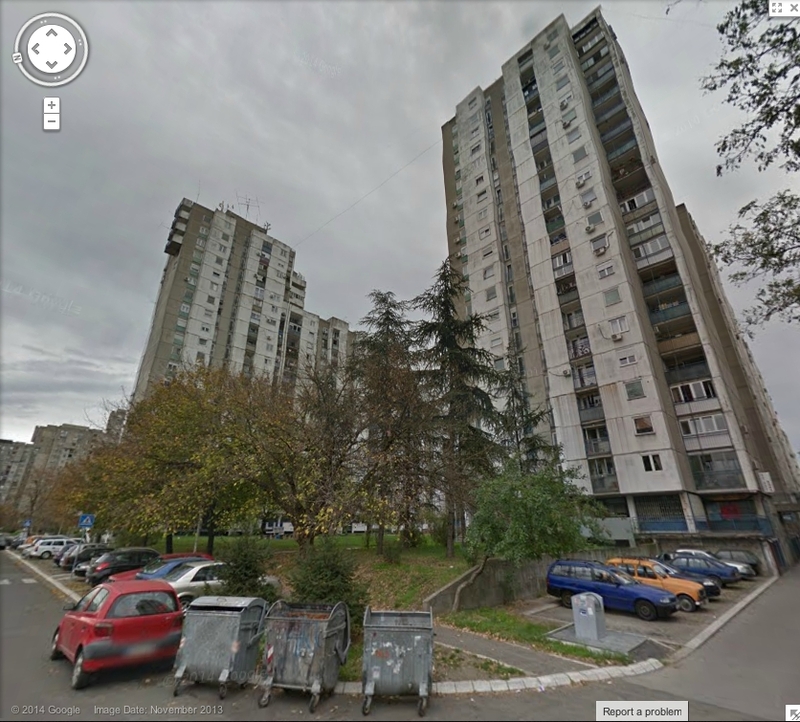 It must have attention to local economics, and to the design and use of this central part of Belgrade. It must involve its people, recognise the need for ecological restoration and sustainability, and not fall prey to the expectations of a corporate urbanism that is rejected by urban professionals and citizens alike around the world. Following several successful screenings, we have released a trailer for our new film Bleacher on the Rye, about the proposed redevelopment of Peckham Rye Station. The residents of Peckham Rye claim they asked for a clean up of the station and surrounding area, described by community group Peckham Vision as a complex site with “commercial buildings nestled amongst railway buildings, viaducts and arches”. Instead the proposed redevelopment would gut the area to make way for a shopping centre and new residential blocks. The film articulates the concerns of residents and local business people, who oppose the redevelopment, which one man describes as a “bleaching”. “They want a new set of people here,” he says. Spectacle has been observing and documenting the ‘regeneration’ of London over the past 20 years, which has largely resulted in the displacement of local people, the break up of communities, the creation of gated communities and privatisation of public space. Please contact us if you would like to organise a screening of this film. 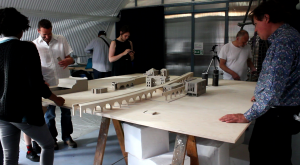 Spectacle’s latest film ‘Bleacher on the Rye’ will be screened 6pm Wednesday 23rd July in the CLF Art Café, 133 Rye Lane as part of the launch of the community-built model of central Rye Lane as it is now. The Peckham Vision event is from 3pm until 9pm which includes exhibition and creative activities, meetings and the screening of the film at 6pm. 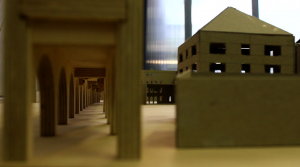 Read the Guardian City article by Matthew Ponsford: Could ‘co-design’ help Peckham where community consultation failed?